FLOWER CONCEPT: Modern styling with a rich colour palette of creamy blush and burgundy wine colours. 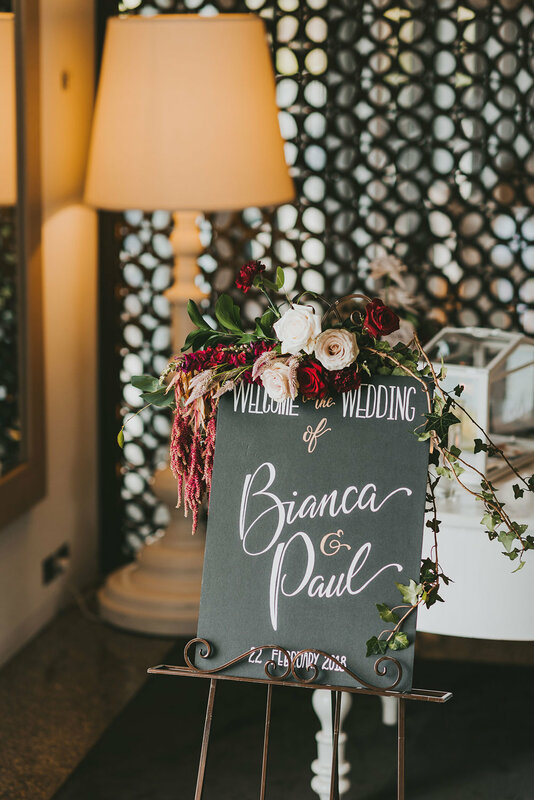 Bianca & Paul are laid back class and I think their florals reflect that. I custom built the floral stands for their balcony ceremony which created a beautiful frame for their special moment. Fallen in love with a floral design?